Chelsea had a £44m bid for Italian midfielder Nicolò Barella accepted by his club Cagliari during the January transfer window, but the player snubbed a move to Stamford Bridge. Maurizio Sarri is looking for the final piece of the jigsaw in his midfield and once again was looking towards the Serie A to find someone to partner Jorginho and N'Golo Kanté. Cagliari's 21-year-old midfielder Barella was at the top of their list and Chelsea even submitted a £44m bid for the Italy international last month which was accepted by his club. But Tutto Mercato Web claim that Barella rejected the move to west London, citing family reasons for wanting to remain in Serie A. 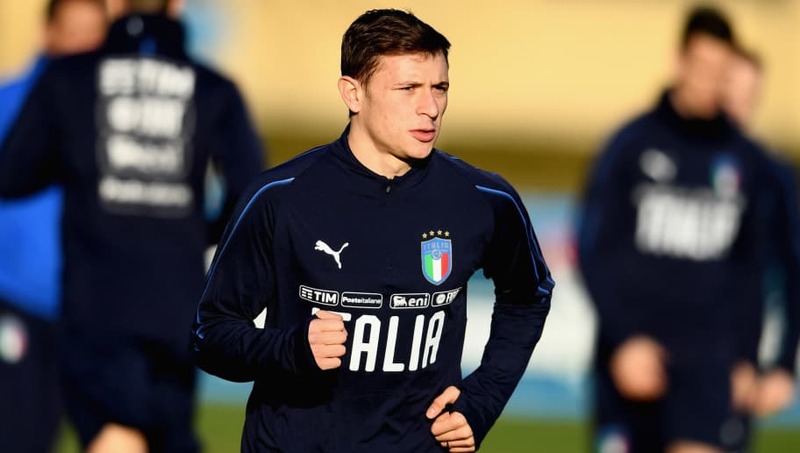 Two of Italy's biggest clubs Inter and Napoli are now believed to be the frontrunners for Barella's signature, with Cagliari hoping that their interest could spark a bidding war this summer. Getting excited thinking about the midfield and forward lines for Italy at a future tournament: A technically gifted trio of Barella, Verratti & Zaniolo with quick wingers like Chiesa and Bernardeschi. As a blanket statement, Italian clubs don't have the financial capabilities to splash £44m (or €50m) on signings every season, so to recoup a similar transfer fee Cagliari will need a number of clubs interested at the end of the season if they decide to auction off their star midfielder. Barella came through the youth ranks at his hometown side Cagliari but has only started to make a name for himself in Italy following his return from a loan spell with lower league side Como 1907. The Italy international has gone on to make 97 appearances for the club and has even captained the side on a few occasions this season, most recently during a 2-2 draw with Empoli.